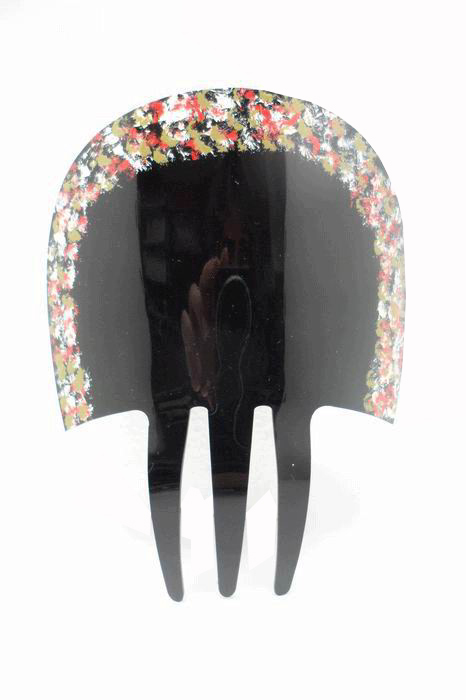 Acetate comb in black with hand-painted colored flowers. The function of the flamenco accessories is to enhance the costume. That's why wearing a nice comb also enhances your face. It is important to know how to choose and this comb is a marvel. Made by hand in Spain in acetate.